We advocate sustainable and ethical practices among our suppliers, customers, consumers and business partners. We aim to encourage and influence the adoption and improvement of sustainable practices within the industries and locations in which we operate. We work alongside others from our industries to develop practical solutions to environmental and social problems. In 2013, we developed a Sustainable Procurement Policy and are committed to sustainable purchasing. All Swire Pacific operating companies have adopted the Swire group’s Supplier Corporate Social Responsibility (CSR) Code of Conduct. The Code sets out the standards required for our suppliers and covers regulatory compliance, forced labour, child labour, health and safety, environmental issues, compensation and working hours, human rights, subcontractor management, ethics and reporting. It offers guidelines for our operating companies to work with suppliers who share our commitment to integrity. We believe that simply making suppliers aware of the Supplier CSR Code of Conduct is not enough. To ensure compliance, we use third-party verification to identify high-risk suppliers and conduct spot audits if necessary. Suppliers are requested to provide clear, accurate and appropriate reporting of their progress towards achieving their sustainable development objectives. Sustainable Landscapes: helping growers focus on the most relevant environmental and social issues to deliver tangible benefits to local communities. Market Mechanisms: ensuring value creation for all those involved in the industry. 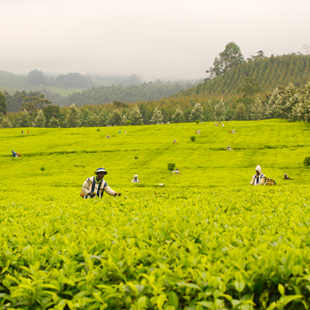 Engaging Consumers: building awareness of the need for sustainable tea amongst those with purchasing power. 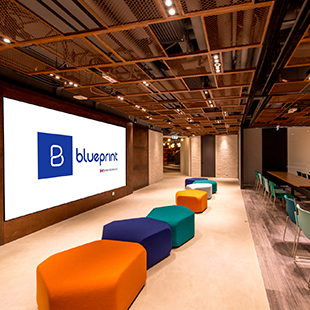 In 2014, Swire Properties launched blueprint, an accelerator programme and co-working space located in Cornwall House, part of the Taikoo Place development which is owned and managed by the company. The blueprint programme provides entrepreneurs with working space, professional support and an extensive mentoring network. It also provides a 10,000 square-foot co-working space for freelancers and small businesses, designed to unite people around a shared interest in technology, accommodate events and encourage collaboration. Sustainability is at the heart of blueprint's planning. Working with Schneider Electric, advanced lighting and temperature controls have been installed to monitor and maximise energy efficiency. 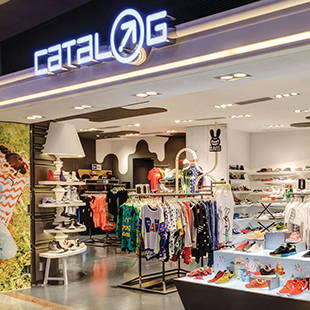 Much of the interior design features upcycled materials from the Swire group such as airline seats from Cathay Pacific, components from marine vessels and vintage Swire Coca-Cola memorabilia. In 2017, blueprint will evolve into a premium co-working “hub” and move to Dorset House in Taikoo Place, facilitating interactions between small enterprises and big brands. Responding to growing demand from entrepreneurs, creative and digital agencies, the new blueprint will offer private office suites and exciting food and beverage concepts. An atmospheric events floor will play host to a series of engaging professional talks, while the complementary Innovation Centre will showcase the latest in interactive technologies to visitors in futuristic surroundings.